Going off to college Fallow Hunt! Fallow Buck for the Recent Graduate! Doug called me late last week looking to put together a quick Fallow hunt for his son before he left for college. Knowing he would not get much time to spend hunting this fall with his favorite hunting partner. I told Doug we could do it Tuesday and Wednesday. So Doug and Mason showed up to the ranch ready to go look for a Trophy Fallow. We quickly spotted a few Fallow bucks here at the main ranch but they made a quick getaway into the brush. I was looking for a particular chocolate Fallow Buck but I could not find him. With it being early in the day we decided to run over to the other ranch and look at a few fallow bucks there as well. This was a strange day for early August we had a little shower pass through and a slight cool front so with the north wind and a little cooler temps deer were not in the normal spots we had been seeing them while it was hot and dry. We looked and looked and only spotted a few smaller Fallow and some doe. 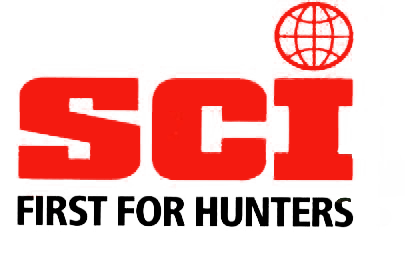 I have been hunting for a long time and it always seems to hold true when you are looking for 1 particular deer or species it is like they got the memo and hide out. Every other species in the pasture we could have shot 2-3 times yet the Trophy Chocolate Fallow Buck in that pasture never showed himself. As it was getting later in the evening the north wind had some bad stuff flying around in the air and Mason began to feel the effects of this. Mason had dealt with asthma in his early years and found himself with out an inhaler in the middle of nowhere. Now he never had an attack but it could have been a bad situation had he had one. So we made our way back to the main ranch with the hopes of running across one of the Fallow bucks we had seen earlier in the day. As we pulled in we headed for a big cedar patch on the edge of the cactus flat where I had been seeing the big boys every day. As we pulled up I spotted the fallow behind a small cedar and Mason was ready. As the Fallow buck made a run for the brush with Doug and I making all kinds of noises in effort to get the Fallow Buck to stop. At the last split second before he made it in the brush he stopped and Mason squeezed a round off from his trusty .270 Remington! Doug and I were both a little startled by the quick shot but more than likely that was the last chance of the day and Mason Made it count! We followed a short blood trail and actually kicked him up. Somehow the rifle got left in the truck (I guess Mason was confident in his shot) Mason quickly made his way back to the truck and got his gun and shortly after he got back the Fallow buck expired without having to fire another round. 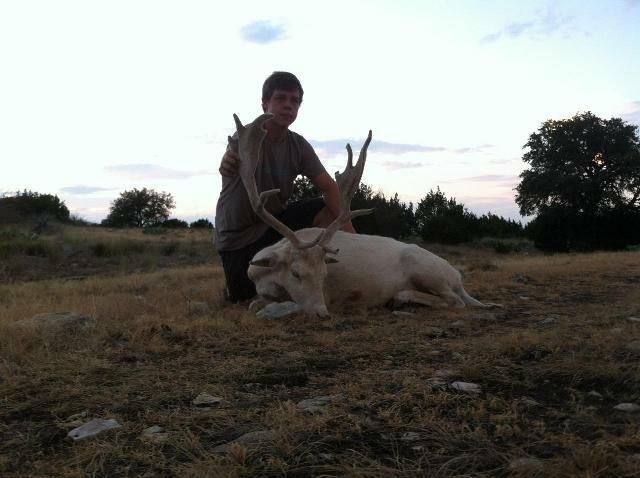 Congrats Mason on a nice White Fallow buck. 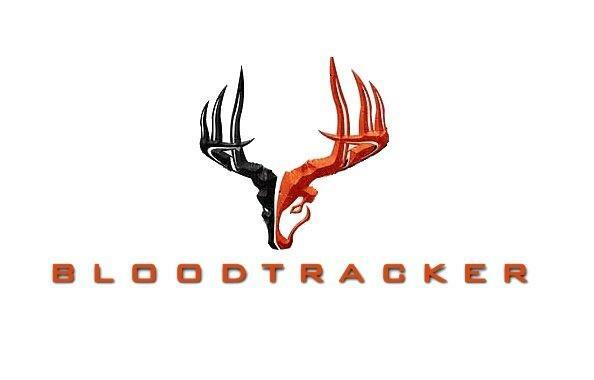 Here’s to dads taking their children hunting!